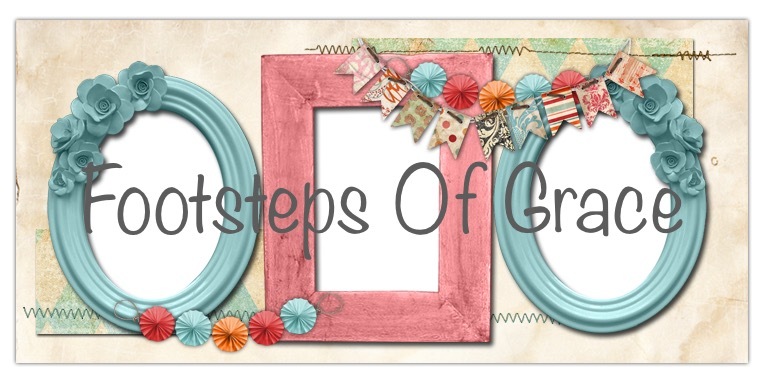 Footsteps of Grace : Grab Some Tea and Lets Catch Up! It seem hard to believe that August is literally just around the corner! Spring and Summer have came and almost to an end. I had not intended to be away from my blog for so long. However life has happened. Memories made and milestones have came to pass! I would like to share some of that with you today and plans for the rest of the year! May was an extremely busy month for my sweet family. My oldest Amber graduated from college. With an associates degree in respiratory therapy. She worked so hard to see her dreams come true we couldn’t be more proud of her accomplishments! She took the next step of being an adult and moved out into her very first house about 15 minutes away. It’s such a cute little house nestled on a local lake with the most amazing views. She accepted a job working at Brenner’s Children’s Hospital in the picu and nicu unit. She has set out on a new adventure and I can’t wait to see what God has in store for her! My youngest Christian, also graduated high school with honors just a week after her sister! We had a joint graduation ceremony with one her close friends! It was really a cool day for both of them to celebrate such a milestone with each other and close family and friends. It’s seems odd to think that both of my girls have now graduated high school! Starting the adventures God has for them! Christian plans to take some classes at our local community college. She truly has a passion for writing and history. I can’t wait to see where these passions will take her. Our homeschool is now officially closed and as odd as it is to say… I am now retired … There Is no longer any need for lesson plans and hours of looking for curriculum. It seems so odd really. May 21, my sweet hubby and I celebrated our 24th wedding anniversary! Sometimes that is what’s need more than a fancy getaway! I honestly can say that quiet date meant more than he could ever know! I am beyond blessed to be married to my best friend ! We finished May our with our last family vacation as a family of four. We rented a beautiful little house at the beach. We spent the week walking the beach watching the waves. Spending evenings laughing and playing games. I believe, we will be adding new members to our family as time goes. Even still I have found myself reading back over it weekly reminding myself of these simple things… I hope they inspire you as well! Beauty is not in the size of your body! It’s in the confidence that you have in yourself. I smiled and held my head high because after all a flare free day is worth the glances ! I am pretty sure I am living in the wrong time period! It’s okay to admit that your tired ! you don’t have to run here there and yonder to enjoy time together. Sometimes staying put creates the most laughter . It’s okay to dream of having a oasis of your own someday. Life is short find something everyday to smile about even if you don’t feel like it. You don’t need to take a picture to of all you do… instead enjoy the moment and the people your with. After all the memories in your mind play back the most beautiful stories! With all of that being said … we didn’t take a lot of pictures this vacation. Instead we choose to stay off of our phones and enjoyed each other. I have learned to embrace me. All the changes that has came… I have learned to love myself and not be so hard on the things I can change. Scales are just numbers …. it can’t measure the beauty of confidence that comes from self love. Here is the very few pictures we captured while on vacation! June and July have been just as busy… we celebrated my sweet hubby’s Birthday! I am so thankful for each and every year God gives me him to celebrate! Our church is growing and doing well. I still love working with the kids each week! I actually choose our Christmas play for this year today ! I know what your thinking! It’s to soon ! I promise you it’s never to early lol! August will prove to be just as busy! My hubby will be preaching revival at a one of my best friends church. Her husband is the Pastor of SoundSide Baptist Church. I am so excited to spend a week with them. Sometimes miles can make you lonely for those who understand your life! We will be attending a leadership conference 2 weeks after revival in Virginia. I just hope I can keep up lol! My health is still very much a yo-yo. I started a biological medicine called benlysta. We have had some good things come from that and some relief shots. My last cardiologist appointment revealed for the first time in two years there is no sign of fluid on the heart. That was a huge answered prayer. My lupus blood work showed it is stable. I repeat my labs the end of August. I am being sent to a new lung doctor. In hopes of understanding why I can’t breathe when I try to lay back to sleep and experience pain. We are hoping to find answers. I am thankful for the adjustable bed. I just miss sleeping with my husband! All though we have had some huge milestones! I have had several hard bumps along the way. I have had bronchitis, severe fatigue, I had to have oral surgery, and I learned that my gums are extremely inflamed. I am not able to be out in the direct sunlight without precautions. The sun and heat send my lupus into severe flare every time! All though I have found ways to enjoy the summer , I have to be very careful. This is just a few things. We haven’t stopped praying and believing that it is going to get better. We just need more time…. This leads me to what is I store for my blog in the coming months! Now that I won’t be planning for school in the fall! I will have lots of time to commit to my blog and writing. I really hope to be able to devote time to finishing some short stories I started and a book I have been working on. I also have gained a brand new sewing and craft room. When my oldest moved out. So I am excited to get back into sewing and crafting. Christmas will be here soon and I would love to make some homemade gifts this year! I was able to do some sewing before my oral surgery ! Here are some snapshots of what have been working on! I still love to sew doll clothes the very best. My sweet little princess at church has a Birthday soon and her wellie wishers needed a new dresses! I also gave sewing for newborns a try! I have missed sharing with you guys …. Again I am sorry for the absence… it really has been a very busy season! I look forward to being back and catching up! Thank you for stopping by and sharing apart of your day with me !